China’s professional manufacturing history dates as far back as 100 BCE. In this era, trade took place across a route called the Silk Road. Consisting of a large scale network of transport routes the purpose was to connect China with India, Persia and the Roman Empire. The Silk Road facilitated trading in many commodities, such as porcelain and spice, but it was most famously used to export silk to Europe. In modern times, China’s manufacturing industry is best known for high-volume production of electrical goods. However, the Silk Road is one example of the long history of manufacturing within China. The country only recently started to continue trading with foreign nations. In 1978 an array of economic reforms was introduced. This, combined with the implementation of the Chinese Foreign Equity Joint Ventures Law, saw China’s economy grow remarkably. Other key catalysts include reopening of the Shanghai stock exchange in 1992, as well as China joining the World Trade Organization (WTO) in 2001. With the country being opened for the first time in modern history to foreign investors, a communist nation historically deprived of opportunities was given a new life. All these factors combined with a country eager to grow, saw China’s manufacturing industry thrived exponentially. To aid an eager nation, the Chinese Yuan was pegged to the US Dollar until 2005. This made it easier for China to compete in the global market. Since 2006 the Yuan had been allowed to move in a narrow margin in relation to world currencies, with the Chinese government planning on gradually increasing the margin in which the Yuan can move. This has allowed the Chinese economy to benefit from world economics. Unfortunately it also exposed it to the many risks a fluctuating market can bring. Looking back however, it has clearly strengthened the economy as the international appetite for cheap products kept increasing. The effects these changes had on making manufacturing history can be seen within many different industries. For example, the car industry saw annual production figures triple over a decade. In 1975, before the changes had taken effect, national production was at 139,800 automobiles. After a decade, these figures had risen to 443,377. However, this was only the beginning. By 1992, annual production figures were estimated to be over 1 million. By 2001, output was doubled again, estimated at over 2 million cars a year. Automobiles were not the only industry to see such a boom. In 1987 industrialized nations were said to be 10 years ahead of China with production pertaining to the electronics industry. The entire industry was criticized and was seen to have serious failings compared to other nations. At this point in time, the industry provided jobs for around 1.5million people across 2,400 companies. Fast forward to the present era, the electronics industry now employs over 10 million people. Factory capabilities are greatly increased, and electronics make up 40% of China’s total exports. of a continuous modern development. All this is to quench an unquenchable thirst for the latest product. With consumerism driving production to ever-higher volumes, countries like China play a key role in ensuring that the demands of the world are met. Within China is engrained a culture of hard work and dedication, the key attribute to running production lines for various items. Part this with millions of people only too happy to have a job, you quickly learn why China is the manufacturing capital of the world. Historically China was also known to turn a blind eye to labor malpractices, but fortunately corporate governance trends are overcoming these problems. The ever shrinking global village has also made it possible for many manufacturers to decentralize, moving assembly lines or factories where it is most profitable. This development has led to many items being manufactured in either China or similar developing countries. Most first world countries simply cannot compete with them as their economy revolves around highly skilled workers with relatively high minimum wages. 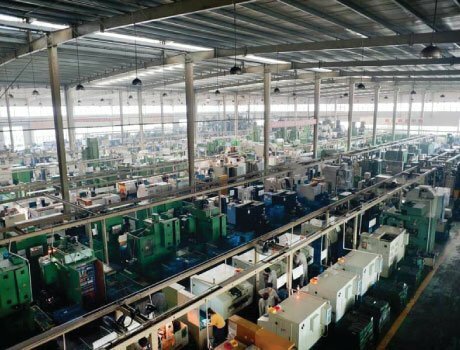 Furthermore, there is only so much a worker can do in a day due to specialization, hence the model of Chinese manufacturing is favored in many industries. Given the current expertise and that productivity is growing faster than wages, it is unlikely to change any time soon. With more and more industries competing globally against each other in today’s markets, every opportunity that present a cost saving is considered. This is why China’s manufacturing industry analysis show that it has grown the way it did and why it will, in future, probably expand even more and contributing to an unique manufacturing history. China’s manufacturing industry analysis shows that it is not the strongest across time. However, it is clear the economic reform brought into effect in the 70’s was greatly beneficial. Currently, almost 100 million people are employed within China manufacturing, underlining the importance of the industry to China’s economy. 13% of the Chinese workforce is within the manufacturing industry. From a country which traditionally relied upon the agricultural industry, the manufacturing rise has been impressive. Want to Design A Product? Learn How We Do It!